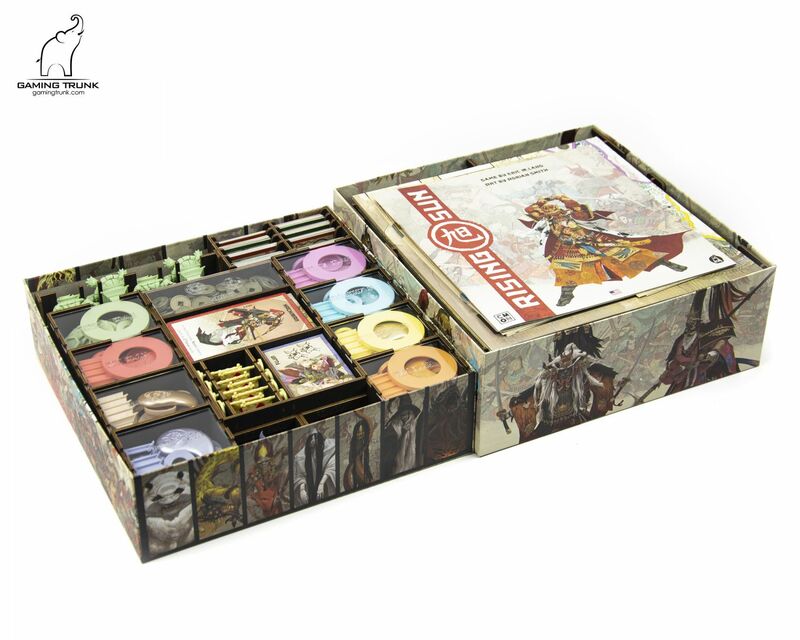 The organizer is compatible with the KS Edition of Rising Sun only. 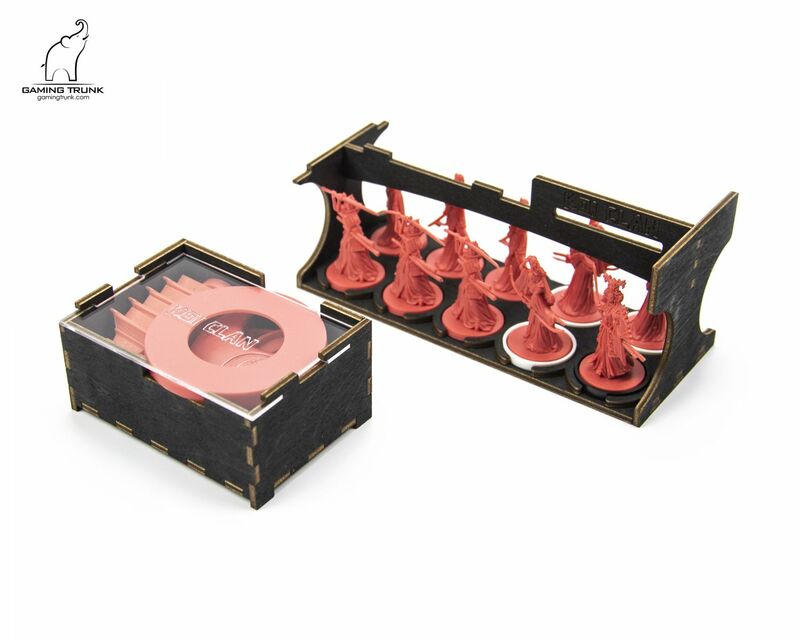 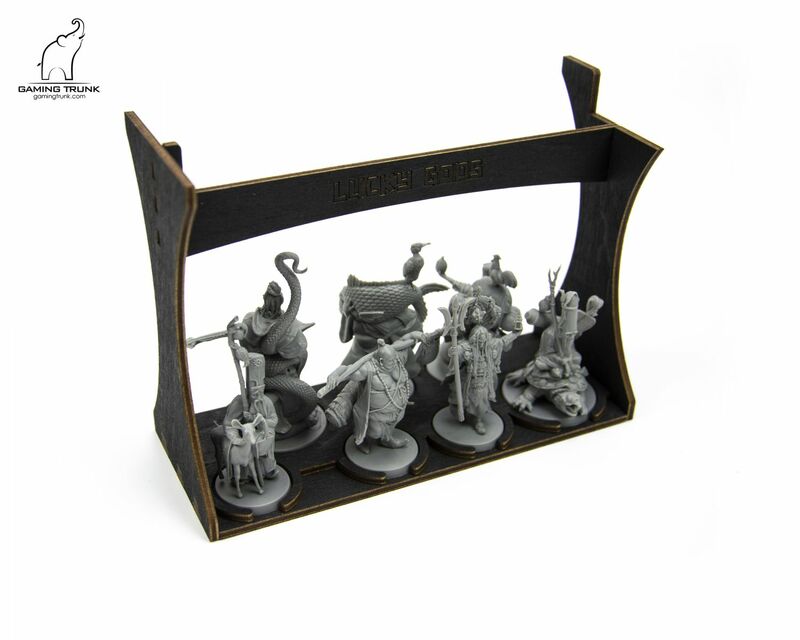 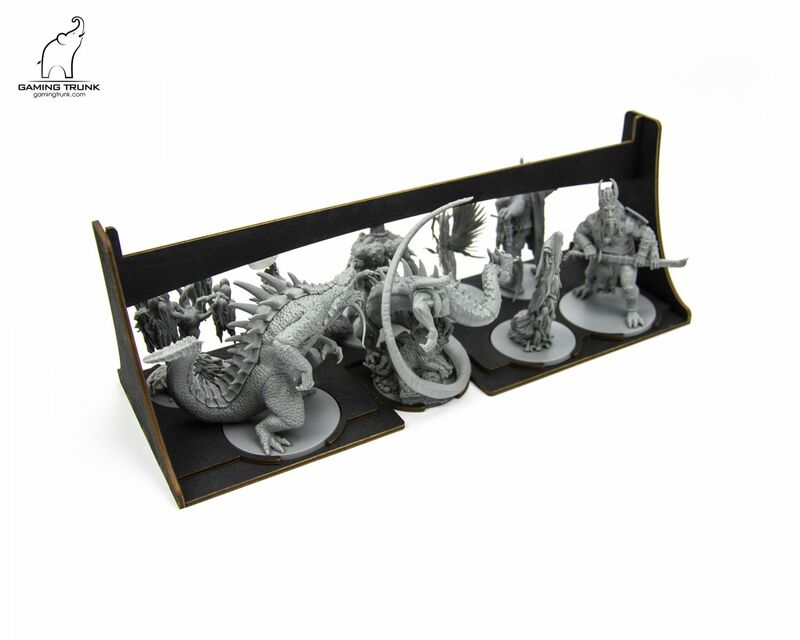 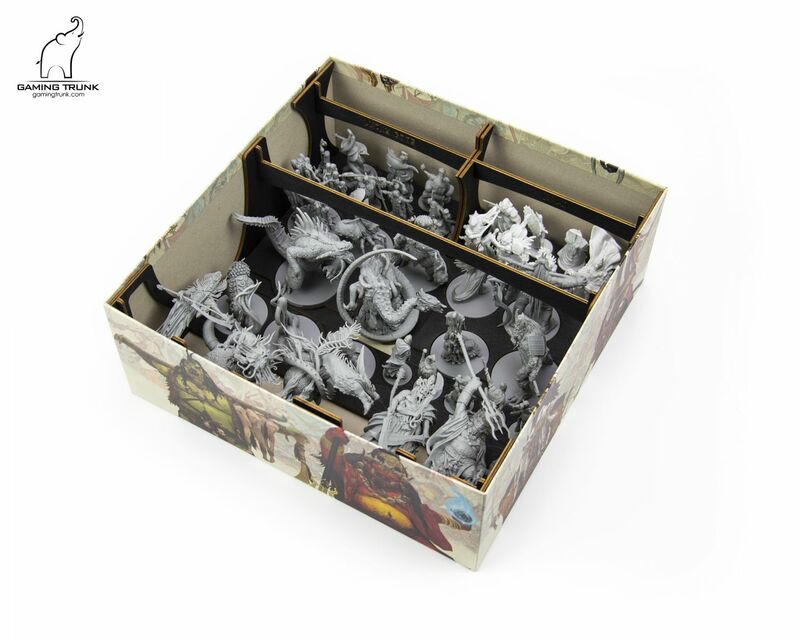 This organizer fits components of the Rising Sun™ KS Edition conveniently in the Base game and Daimyo boxes. 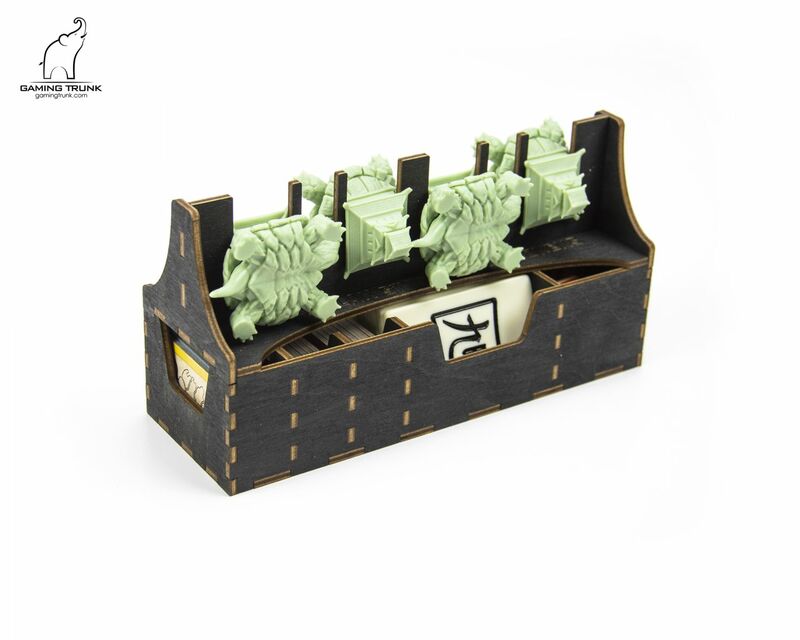 All clan miniatures and plastic bases, tokens, cards, and tiles are stored in Daimyo box. 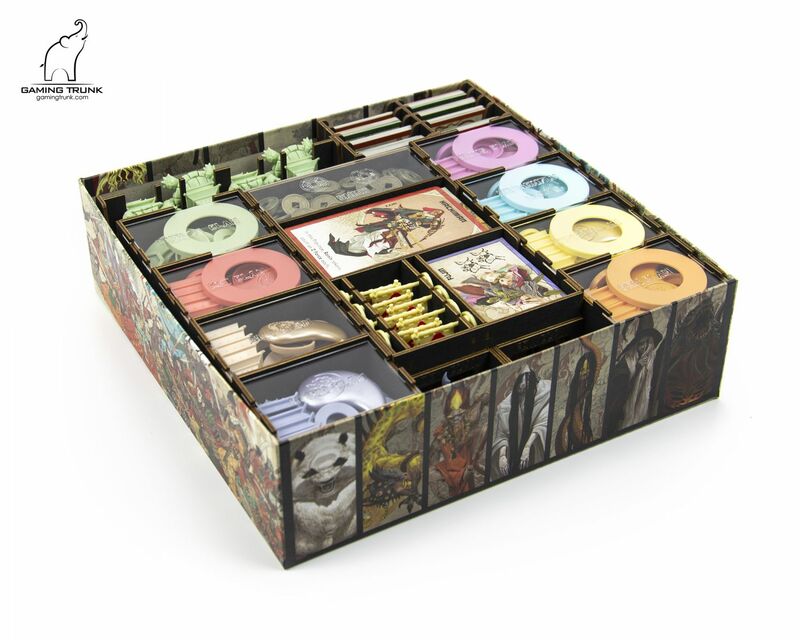 Monsters, Kami, and Lucky Gods miniatures, game board, rules, and player screens are stored in the base game box. 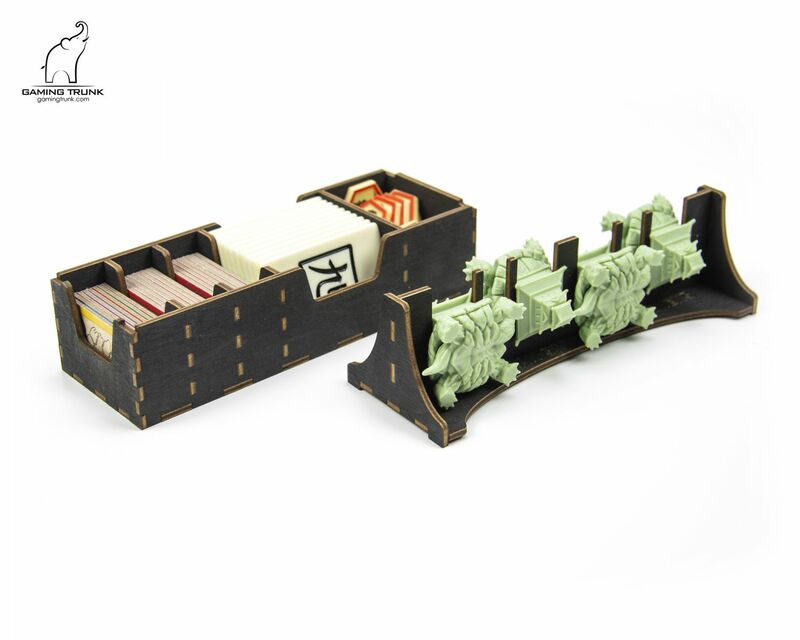 The organizer is available in 2 colors: Black or Natural (Unstained). 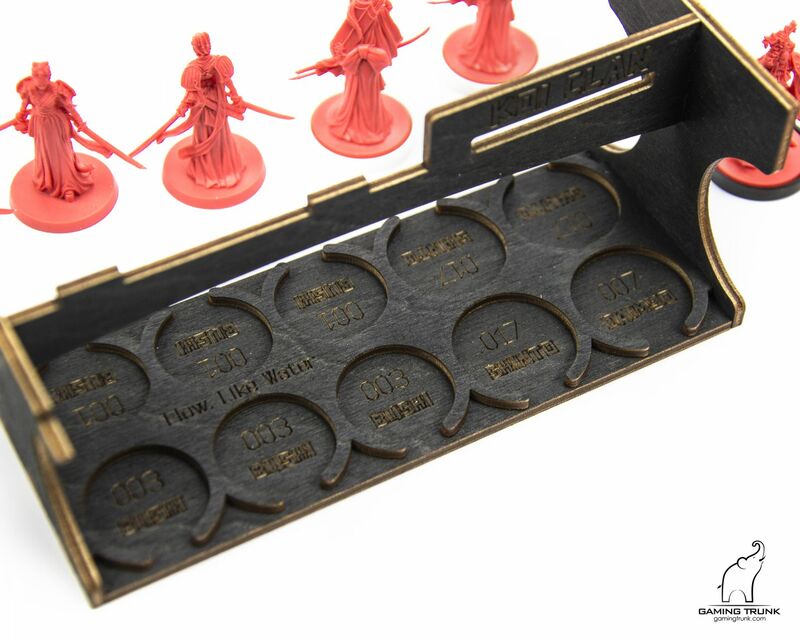 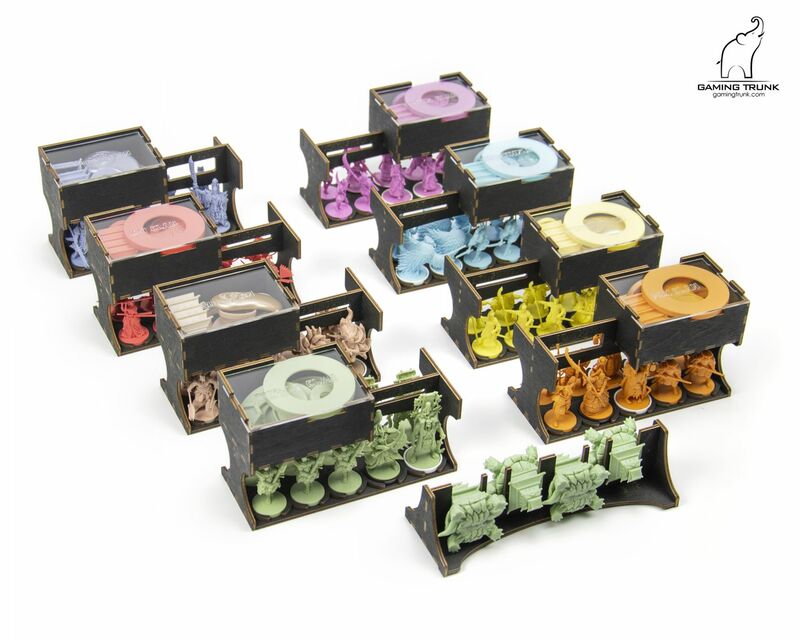 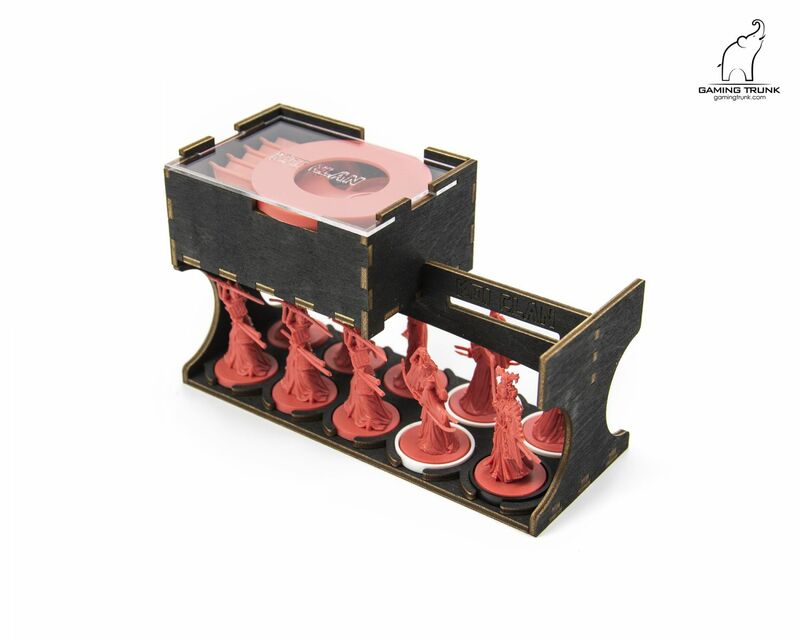 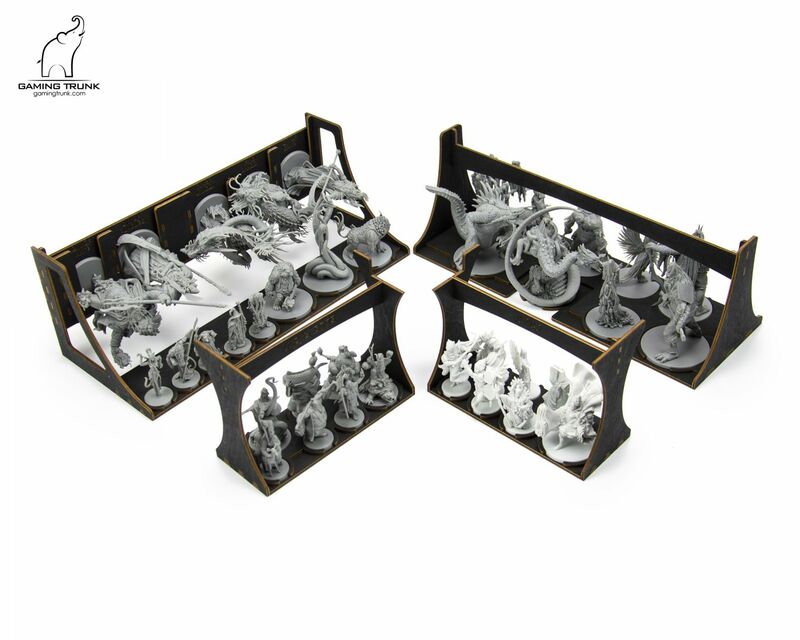 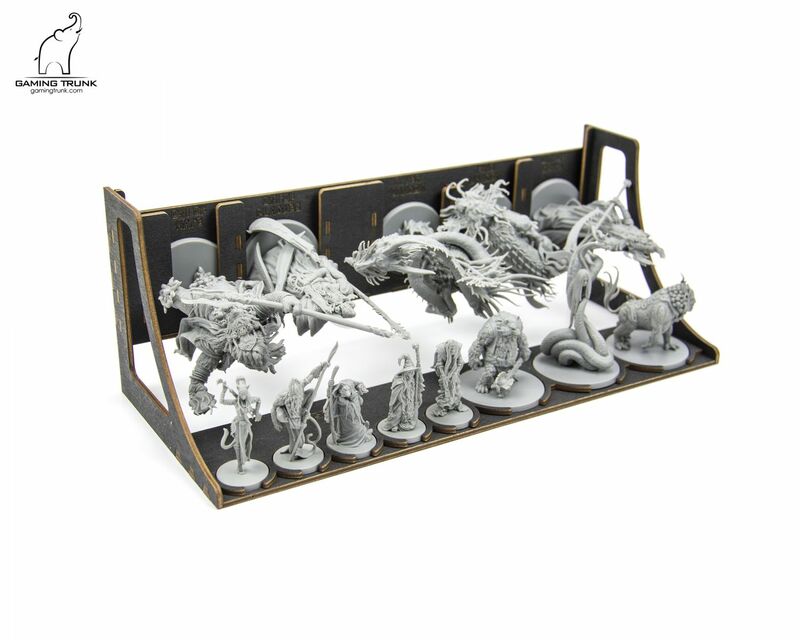 - 8 Removable trays for each of the clans, including a box with a transparent lid for plastic miniature bases, Strongholds, Alliance Tokens, and Clan Markers. 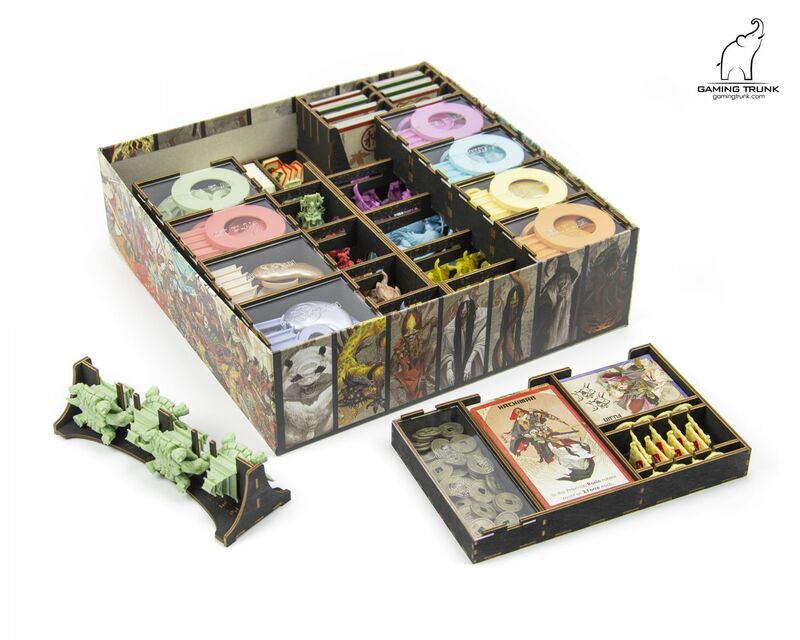 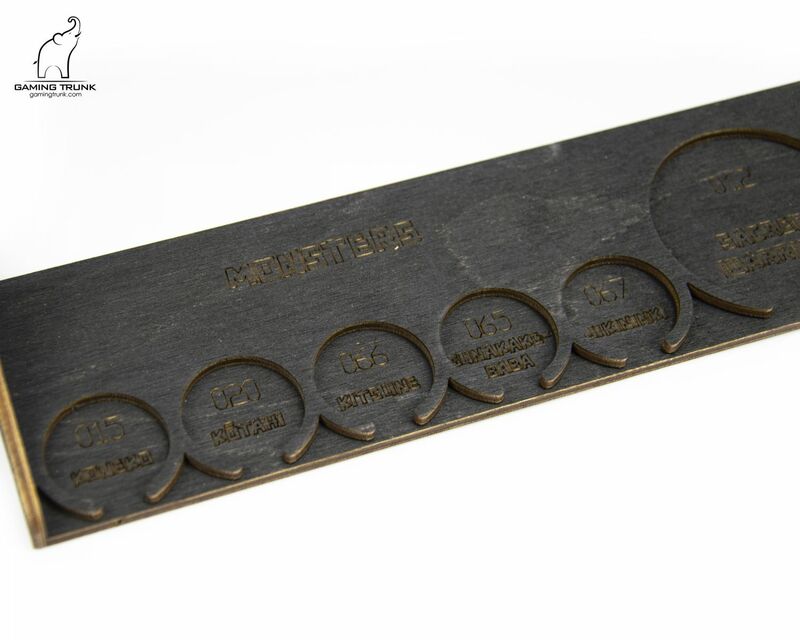 - 1 removable tray for Political/War Tiles, Shrine Tiles, Kami Cards, War Number Tokens, and Coins. 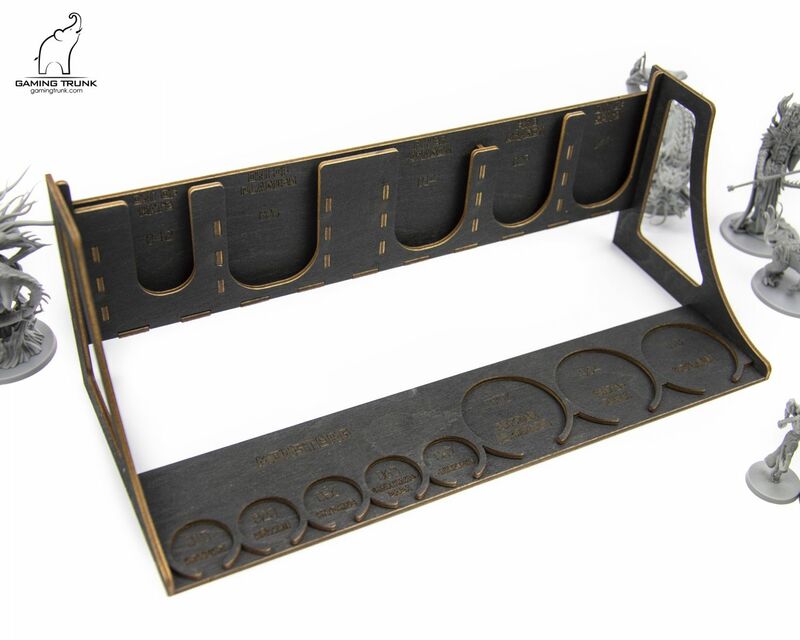 - 1 Card Holder which supports sleeved cards. 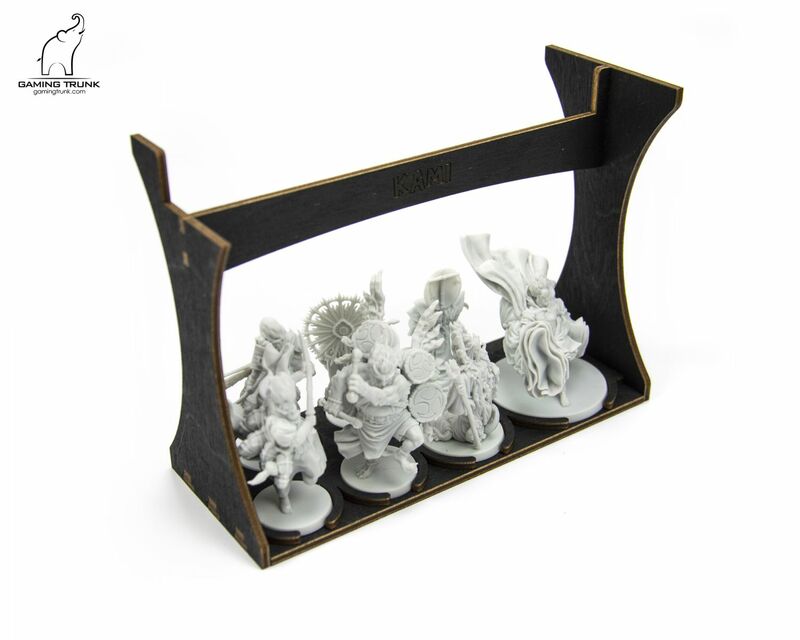 - Size of the miniature bases slightly varies due to the manufacturing process of the miniatures. 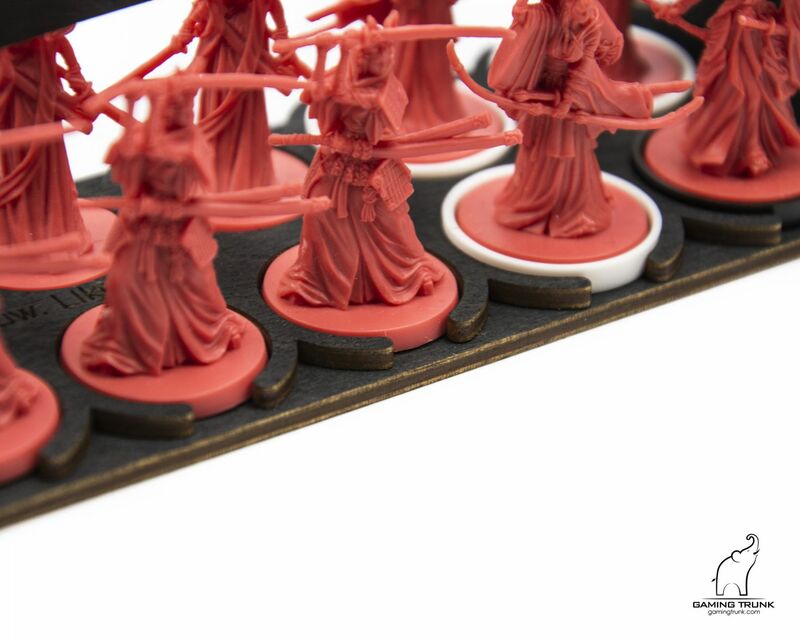 As a result the miniatures fit more or less tightly in their places varying from one copy of the game to another.